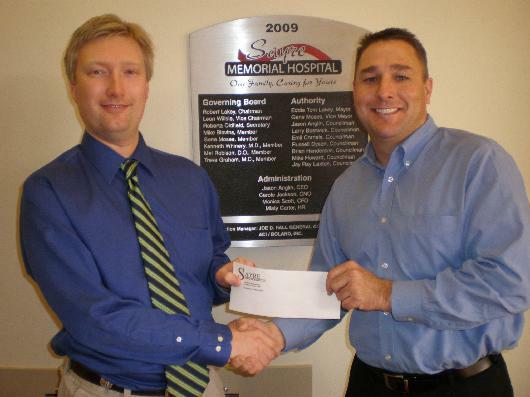 Sayre Memorial Hospital joined the Oklahoma Health Care Association (OHCA) as a way to provide workers’ compensation insurance for their employees. The OHCA is a non-profit self insured association meaning Sayre Memorial Hospital pools premiums together with other hospitals to have their workers’ compensation claims paid. Since the association is a non-profit, the association is returning excess premiums collected back to the membership for the 2004-2005 policy year. Pictured Left to right, Jason Anglon, Chief Executive Officer, Sayre Memorial Hospital and Chad Williams/Security Brokerage, Insurance Agent for the OHCA. 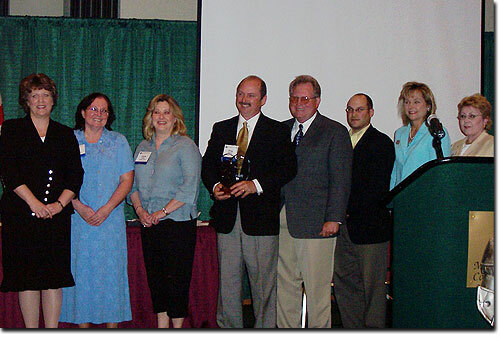 Client receiving the Workers’ Safety Policy Council 2005 Award of Excellence from the Department of Labor. 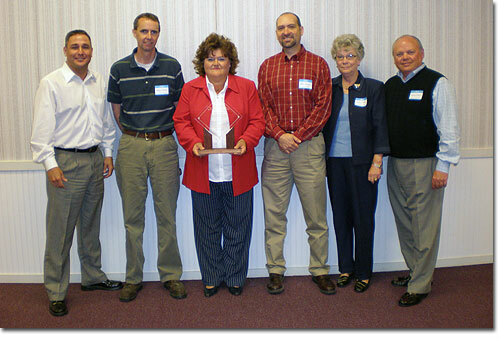 Client receiving the Chairman’s Award from the Oklahoma Health Care Workers’ Compensation Program for commitment to an Injury Free Culture as well as the greatest improvement in claims history.